Did you think the Patriot Act wasn’t strong enough? Does universal health care give you hives? Do you eat babies? No? Then, you might have what it takes NOT to be a Republican! 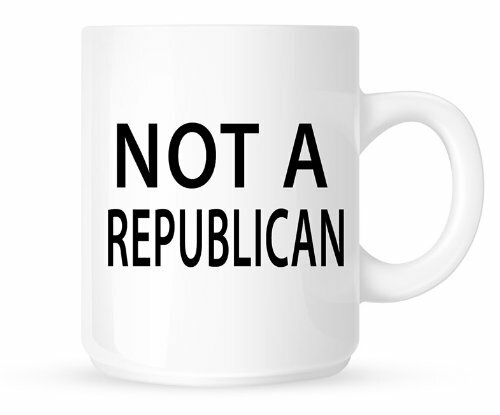 The Not A Republican Mug is great for those left-leaning people out there that think their tea belongs in a cup and not on the news. You can tell the world that you’re allergic to right-leaning wing nuts, and proudly declare that you’re not one of the 1 percent. You don’t have to be a Democrat, you just have to not be a republican.